In the beginning, I ran ahead and skipped down the path, blissfully unaware of the impending weight of my vow. Seems ironic perhaps that the God who warns the world against this choice would have also protected me from His warning and of knowing the weight of the choice, lest I forgo the journey before it even began. Yet here I stand on this path, the years of this journey creeping painstakingly to the halfway mark of my life, the road behind me torn between the picture perfect redemption of God, and the ravaged rubble of human nature. All one needs to do is tilt the angle of perception to see the contrasting views. You can glance back to gain wisdom, but you must keep walking forward in faith. His provision is faithfully present at each morning milestone, the mystery of spiritual sustenance that brings with it the daily dawn of hope. It is there for the taking, always enough provided you greet it with gratitude and partake in it with praise. The ground under my feet is parched and scorched by the heat of the fires that have tested the foundations of faith. They shall enter further into the... desert? Consider it joy to be here. The one who brought me here is the one who breathes life into me. Life cannot be sucked out of you but from the enemy. God has brought me alongside this dying stream for a purpose. He knows that even though my body is resting wearily where He has placed me on the dry shore, my faith is quenched by Living Water, and I hunger only for Him. He alone is sufficient for me. No, He has not brought me here to die or to suffer, He has brought me here to refine my faith as in the days of Elijah the prophet. He has brought me here not to be destroyed by the battle, but to provide for me a front row seat to witness His hand at work, just as He did for Jehosaphat. In this world of rushing around obstacles with impatience, being content in the stillness and through the trials can seem so foreign and unsettling; uncomfortable, inconvenient. His ways are not our ways. He has commanded me to be still and believe in what the world cannot see but through the filter of faith that puts God between itself and any circumstance. The journey here has filtered my eyesight -- my focus is clear. 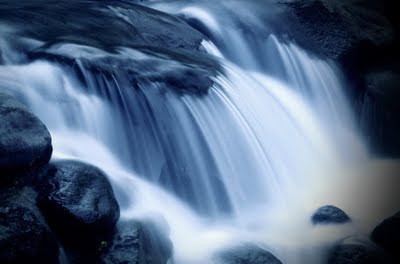 I am here to stay until He moves me, waiting patiently for God as He prepares the river of redemption He has promised me. As a family of five very different individuals, we have learned to embrace our differences, even celebrate them. When it comes to common interests, we’re not doing as well. As the children get older and grow into their own tastes and personalities, we’re finding it increasingly challenging to find activities/hobbies that we can all take part in and enjoy together. Perhaps you’ve experienced the same? While we have been on the lookout for such an activity for longer than I care to admit, I never expected to find the answer on a Compassion trip to Honduras in 2010. In fact, I didn't think I had found it at all until this past week. 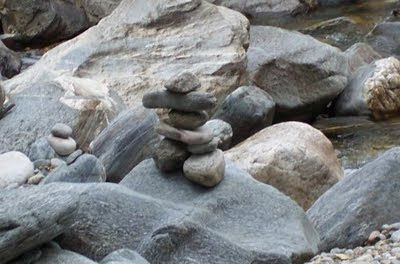 One of our trip leaders is really into geocaching with her family, who happened to travel with her. I found myself listening intently while they talked about this activity they all enjoyed doing together. I loved the concept, and the potential for variety and adventure. I was eager to talk to the kids about it when I returned home. When I did explain it to the kids, they were curious but it didn’t seem to really strike a chord with them. I had thought for sure that at the least, our army-mission-trailblazin’ oldest son Brandon (15) would have been the most eager to try it, but I seemed to be the only enthusiastic one. While it seemed like a dead end, my enthusiasm persisted. There was only one small issue: I didn’t want to do this alone. This was meant to be a family activity. I put my desires on a shelf, and prayed for opened doors while the dust collected. When the boys stumbled unexpectedly upon the geocache closest to our home a while later, the geocaching bug nibbled... and seemingly fizzled. When the GPS came, I explained to the rest of the family what I had bought Brandon as a birthday gift. The youngest two kids listened as I explained, and asked many questions. It was obvious that the more they heard, the more enthusiastic they became. I asked Joshua to help me figure out how to use the GPS so that we could make sure it worked well. At least that was the story. We knew what we weren’t admitting out loud -- he and I were both too eager to wait until mid-September to try it. And so one treasure hunter turned into two. We created a family account at www.geocaching.com, (RichardsonZoo), learned the basics, and started uploading a handful of nearby geocaches to the GPS. Since Brandon wasn’t home, the youngest two and I decided to try our first geocaching adventure. Joshua had already seen the first geocache, so we decided to use the GPS to officially find it more as an opportunity to learn how to use the GPS than anything else. In no time, we were navigating the GPS features with ease and before we even reached the geocache area, we were already planning our next outings. We found the first cache, and easily gained another enthusiast when our youngest, Jillian (10) saw the trinkets that could be found inside a cache. She has always been the first to jump in to any family activity, but add tiny treasures, and she's like a bloodhound chasing a rabbit. Two turned into three... that makes majority! So far, so good. Back home, we logged our find on the website and downloaded more local caches. The following day, we logged four more finds. We're already brainstorming for ways that we can create our first geocache, perhaps making it a yearly tradition for Brandon's birthday. I wondered at first how he'd feel about his gift being something to share with the whole family, but those feelings were short lived. He loves the adventures we have together and craves more. He also treasures family time, so now that there are three of us involved, he's more likely to join in. Reflecting back on the success of this new activity, I couldn’t help but feel as though the treasures weren’t in the caches we were pursuing like modern day treasure hunters. No, nothing we could ever find in the coming days, weeks, months or even years of geocaching adventures will ever compare to the priceless treasure of family time. Three out of five so far... will this activity end up being a five out of five? So far, my husband has not expressed any interest at all, which has really disappointed the youngest two, but perhaps in time, he will see how it's knitting the family together, and he won't want to miss out. In a recent post, I shared the exciting news about the new Child Survival Program sponsorship available for moms and babies from Rwanda, Bolivia and Bangladesh. This sponsorship program is unique in that it can begin before the birth, continue through infancy, and then transfer to the Child Sponsorship program once the child reaches the age of 3. It gives a whole new meaning to lifelong relationship! In the profile I had been sent, the information on the baby hadn't been included because at the time the profile was created, the baby hadn't yet been born. And he is Oh-So-PRECIOUS! Look at his sweet face!! This sweet boy was born on April 29th, 2011, and his name is Nyibisubizo. I dare say his name probably translates to PRECIOUS in any language, really! Oh, those cheeks! As a mom in the midst of the adoption process, I often see the parallel between adoption and sponsorship. Obviously, sponsorship is quite different from adoption, but the similarities can't be ignored: it is still the grafting of a child and his or her family into your own, the commitment to nurture, love and lead a child, and it is the obedience of a commandment from God to care for His precious lambs. So often, babies are adopted from birth. The older the child, the more difficult the adoption process, and often the longer the children wait for a family. Older children in Compassion's Sponsorship Program often wait longer than younger children too. But what if you could sponsor a child younger than three? What if you could sponsor a baby? What if... you could make a commitment to a child before he or she is born into this world? Yes, Compassion International's ministries assist infants by helping their mothers learn to care for them through the Child Survival Program, one of Compassion's 4 Core programs. Until recently, though, all one could do was donate to the Child Survival Program in order to give the best start possible to babies and their moms. Some of the most amazing Compassion testimonies have stemmed from CSP -- have you seen this powerful story from Ethiopia? 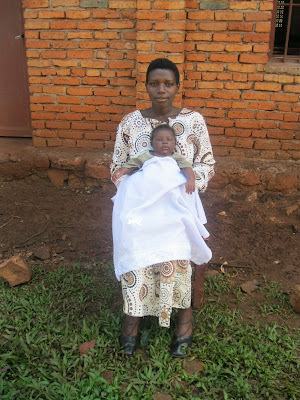 Imagine if we could sponsor moms and babies together? I have something quite rare in my hands. 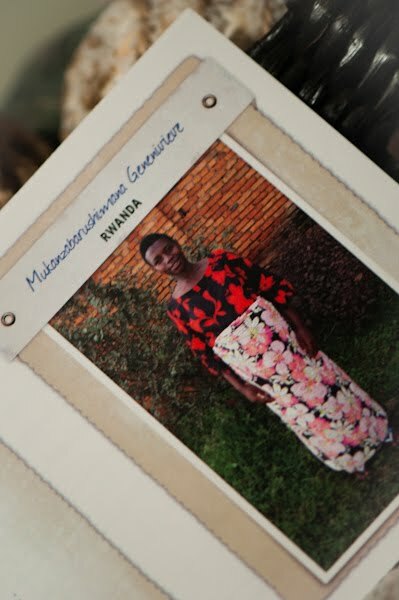 It is a sponsorship profile from Rwanda unlike any other that I've ever had. It's special because this is an expectant mother's profile. The sponsorship is for this beautiful mother and her unborn child. This mother (Mukanzabarushimana Genenivieve) is from Rwanda, and was born April 11th, 1988. 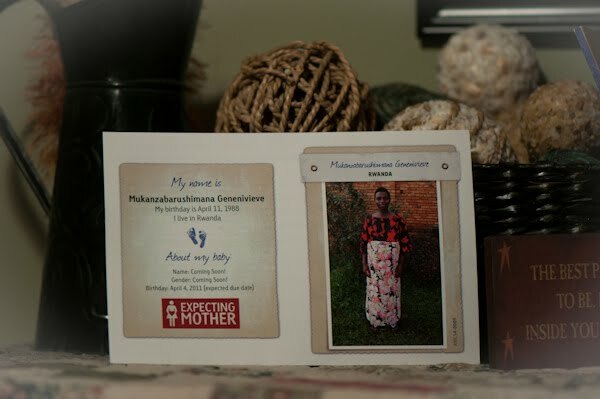 Her baby's due date was in April of 2011, so she has had her baby by now (a quick call to Compassion will obtain the baby's details such as gender, date of birth and name), and they are both available for a very special sponsorship. The sponsorship will cover the first three years of the baby's life, at which time it will transfer to the traditional Child Sponsorship Program. Sponsorships like these are an amazing opportunity to sponsor a child from before birth to beyond birth. The cost is slightly more than a typical sponsorship ($56 Canadian, possibly slightly less in the U.S.), but it will then revert to the regular cost at age 3. Correspondence is a crucial/vital part of the sponsorship just as it is with older children. You get to correspond with the mother and build the relationship with her and learn about the child as he/she grows until it becomes a regular child sponsorship, at which time you can continue under the regular program. Have you ever considered co-sponsoring with your own mother? My mother and I co-sponsor Bessy and Justin in Honduras... imagine you and your mother co-sponsoring a mother and her child? Launched as a pilot program in Canada, these sponsorships are available in very, very limited quantities -- I only have one of these sponsorship packs, and I only know of ten in the entire Atlantic region. Would you prayerfully consider taking part in this blessing? If you are interested in sponsoring this beautiful mamma and her baby, or if you have any questions, please contact me (JD (at) beyondmeasure.me) or simply respond in the comment section. As an added bonus, I will offer a copy of the Compassion book "Hope Lives" to the person who steps forward to sponsor this duo! It's rare for me to be at a loss for words... this is one of those times. Please pray for Liliana's family to find her. I knew God would have to be very creative to build this school through us, and one of the best parts of this journey so far has been watching to see how He'll show up. Our bathroom faucets had been leaking a while, and our bathtub wall surround had cracked and was in need of replacement. We knew that we would face much bigger issues if we didn't address the situation, so 5 or 6 weeks ago, my husband began the demolition phase of the project. When it came time to remove the faucets, he discovered that he wasn't able to remove it on his own. While he's quite handy with most things, plumbing isn't something he's completely comfortable with. After several weeks of having the bathroom all torn up, I started putting some pressure on him to call someone to get the work completed, only to be stood up twice by the person he contacted. My husband threw his hands in the air, discouraged. I threw my hands up in the air, in prayer. I prayed for God to send us someone reliable and affordable, for God to use this as an opportunity for my husband to see God's provisions, and kept praying that the disruption of having a construction zone in the house wouldn't begin to grate on my patience. 2. She recently moved to an apartment and does not have a yard. She then explained that even though no one in our family was in need of a BBQ either, she still wanted it to be a blessing to someone, so she decided to donate it to our Ghana travel expenses. All we had to do was pick it up at the church. Except we don't have a truck. Saturday evening, mom called to tell me that her friend Mike was bringing the BBQ to our house. PTL! I eagerly greeted them in the driveway as they pulled up. The BBQ was beautiful, and huge! Then, the questions came to mind... Where exactly would I store this while waiting to sell it? Would people still be in the market for a BBQ so late in the season? With all the BBQs on clearance now, would I get good value for it? As Mike and I were putting the BBQ away, we stopped and chatted a bit. He asked about the school in Africa and what we'd do with the BBQ. As I shared, you could tell he was very captivated and totally getting the heart of the mission. He mentioned his journey as a Christian and in passing, mentioned the Wesleyan church. I asked him where he attends... turns out he attends the same church I do! We had a great laugh about that!! We shared stories about the church and promised to look for each other on Sunday mornings. You can guess the way the conversation went! "So, how are you with plumbing?" "Do you do private/residential work?" "Please, come inside the house for a moment, (and don't be alarmed to find 6 or 7 teenagers inside, they're mostly tame), I have something to show you..."
In the end, we made a deal, and I made a new friend. The value of the labor and work that needed to be done was similar to what we would have received for the BBQ. Mike gets to take home the BBQ, we get to have the bathroom work done by a wonderful and hardworking man who is reliable and has an amazing walk with Christ, and in return, we will donate the value of his work directly to the travel fund. It's times like this, when I look at the 81 days left before our departure and the never ending list of fundraising tasks that I am reminded that God already has it all under control and that even when it seems that nothing is happening, He never rests. The same applies to your life -- even when things don't seem to be happening, He never rests, and His perfect plan WILL unfold. All He asks of us is to believe, have faith, and do this for His glory.